After reading the following blog on time-based one time password (TOTP), I wanted to see if I could add an additional layer of security into Java EE’s security. I installed Google Authenticator on my phone and started experimenting it with Java EE security. So lets start with TOTP. We are all familiar with the concept of password. Password are typically static; they do not change over time; so if someone knows your password then your account is compromised. In most operating system you can configured a password expiry policy where users are forced to change their password at regular intervals eg. 6 months. This password expiry policy gets around the above mention problem every 6 months. But the risk still exist. TOPT takes the password expiry policy to the extreme by expiring your password at an even faster rate like say every 30 seconds! The problem here is that you cannot change your password every 30 seconds; so to make this work, TOTP uses an algorithm to change the password for us. Very briefly this is how the TOTP works: you pass to the TOTP password generator algorithm a secret key and the current time; out pops your password; So if you call the TOTP password generator now and then again 30 seconds later (assuming that your window is 30 seconds) using the same secret key, you will get 2 completely different passwords. To verify a password generated by TOTP algorithm, the TOTP password verification must know your secret key and the time that the TOTP password is generated. Since its a 30 second expiry period in our example, the password verifier will be able to validate the password as long as it is run inside the same 30 second window when the password is generated. All the wonderful math can be found here. TOTP is an IETF standard RFC6238. Examples of TOTP can be found in online banking like DBS’s OTP where the account holders are issued dongles that implement the TOTP algorithm along with their unique secret keys embedded in the dongles. See the QR in its full glory here. Of course the entire process of generating the OTP can be automated. Clearly the secret key in which the entire TOTP scheme hinges is the weakest link. If we minimize the exposure of the secret key (like keeping it from the user, using HTTPS to generate the QR) then we can potentially make using TOPT reasonably secure. Well get to that a little later. Java EE security realms is a place where username, password and groups are stored. When you configure security for your application you need to specify which security realm you application will be associated with. When a user login to your application, it is from this realm that the application will get the user’s credentials, password and group id. See here for more details. A JDBC realm is a realm where usernames, passwords, etc are stored in a RDBMS. You first create the required tables in a RDBMS; next you create a connection pool on top of it followed by a JDBC resource. Since I’m using Glassfish and Java DB/Apache Derby, I’ll be creating and configuring JDBC realm based on these. There are lots of blogs and tutorial on creating JDBC realm for Glassfish so I won’t go into it in great detail. I’ll just list out my configuration. The following are the table schemas, based on Apache Derby, which I’ve copied from this blog. Adapt it to whatever database you’re using. I’ve added an extra column in logintable called otp_secret. This column will be used to store our OTP secret key. 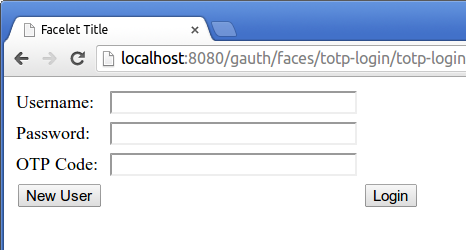 I’ll be implementing the process using JSF using the new Faces Flows; so the files are created in a directory called totp-login; this incidentally will also be the name of the flow. Let start with the registration (register.xhtm) page. Note all JSF pages are at its bare minimum. The code is quite simple. When the user clicks on Register Me button, we will call register(). After verify the fields, us use an EJB call UserManager to insert the username, password and the base32 encoded secret key into the JDBC realm. This corresponds to logintable above. 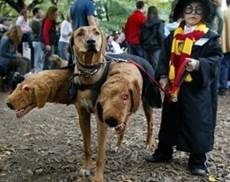 It also assigns the user to a group called registered. Recall that in our JDBC realm configuration, we say that we are using SHA-256 for the password digest; so in effect we don’t save the password but its digest. This hashing operation is performed by the register() method. A digression: I found that graphicImage cannot load images from an external source viz. if I pass it http://www.google.com/chart?… I’ll get a broken image. Not sure if this is a bug with JSF (Majorra) or its part of the specs. 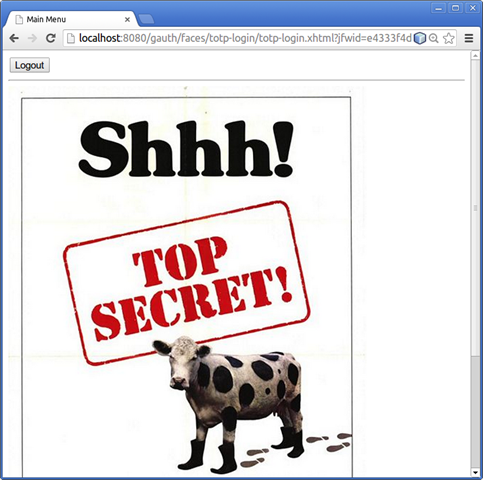 Anyways, this blog pointed out a possible workaround by proxying the image via a Servlet. The otpauth is appended to /qrcode. So the url attribute in graphicImage references /qrcode/the_otpauth instead of http://www.google.com/chart?… A Servlet is mapped to /qrcode/* to handle the image loading. See QRCodeServlet for more details. If we attempt to login a use that have been authenticated. So we check if we have the user name by calling getRemoteUser(). If this is not null, meaning that this request has been authenticated, then we redirect the request into the secure area. More on secure area later. After successfully login, we perform the 2nd validation by checking the OTP. We pass in the secret key, which is returned when we get the User from getUser(), the OTP password that the user entered and the current time to OneTimePassword.checkCode(). checkCode() method is this algorithm that I found here. checkCode() verifies the password using a 120 second window viz. if you give it the current time, it’ll take the current, past and future 30 second slot. If we don’t do that then the time on the OTP generator (the mobile phone that runs Google Authenticator) and the time on the server that host the web application cannot be more than 30 seconds apart. 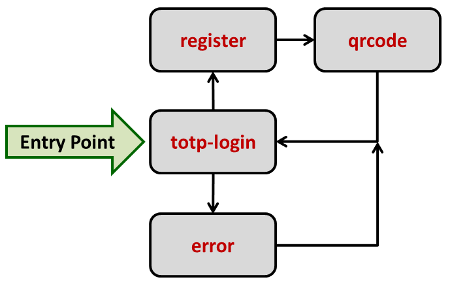 Note that if the TOTP password is incorrect we perform a logout (logout()) before returning; the other method that you can use is HttpSession.invalidate() which performs a logout as well. The difference is that logout() will not destroy the HttpSession. One reason you might not want to invalidate the session is to keep a count of failed attempts and disable the username for 5 minutes for example. where everything under the /protected directory requires authentication and authorization before access. Let start the discussion by looking at authentication scheme. Java EE supports container managed security. If we’re dealing with securing web application, then common ways to authenticate a user are either basic or form-based (see here for other ways). When you use basic authentication, you get a dialog box to request for your user name and password. If a correct combination of username and password is presented, then you will be redirected to the protected resource. Basic authentication does not give you control over the login page and the authentication process. 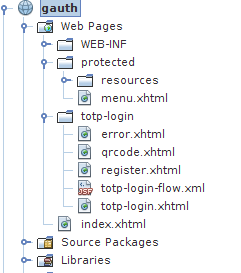 Say you want to enter a third field, eg our TOTP field, as part of the the login, there is just no way of doing this. Enter form based authentication. With form based authentication, you create a login and an error page in the web.xml file. The login page needs to contain j_username and j_password field; these values are POSTed to j_security_check. Form based authentication gives you control over the L&F of your login page but you’re still out of the loop when it comes to the authentication process. Again it does not allow us to arbitrarily include any additional data into the authentication process. You can do it after you’ve passed security check but not during. Another common gripe with form based authentication is that its not very JSF friendly; you have to fallback to <form> and <input>. So in Java EE 6, the Servlet API introduced programmatic security. At its heart, it is still form based authentication. However instead of relying of j_security_check to collect username and password, your application is now be responsible for collecting these information and performing the authentication. This opens up a lot of possibilities; you are no longer restricted to just username and password. You can include additional fields; see Authentication.login() and totp-login page above. Note that in a typical form based login, you have 2 different views for login and for error. The container will redirect the request to the error page if you’ve login incorrectly. In our “semi” container managed security, our application controls this (see the flow above). So you don’t actually need an error page; I therefore set it to index.xhtml. Once you’ve setup the authentication mechanism, you now need to define a security role. Our demo application have a single role which is authenticated. The authenticated role needs to be mapped to users and groups from the jdbc-realm. This mapping is application server specific. Glassfish uses a file called glassfish-web.xml to perform this mapping. The following XML fragment shows how we map authenticated to registered group. The above constraint says that what we are protecting is everything under the /faces/protected path; only those uses who are authenticated to the authenticated role will be authorized to access it. We enter the new user details. Then click on Register Me button. This will call NewUser.register(). A secret key will be generated and the appropriate QR code link is created based on the username, issuer and the secret key. The following page is displaying asking the user johnbigboote to scan that into his Google Authenticator. The number 732803 is the OTP and the ‘pie chart’ to the right is the 30 seconds count down timer. After login you’ll be redirected to the secure area. You can use this approach to integrate other authentication mechanism like adding CAPTCHA. I’ve listed a few caveats in the blog. They are mostly related to JSF and not security. So let me just state one here. One of the big advantage of container managed security is that if you are going to access /faces/protected/menu resource and your are not authentication, the application server will redirect you to the login page (if we’re using form based authentication). After you have authenticated and you’re authorized to access that resource, the container will now redirect you to that resources which is /faces/protected/menu in our case. But using programmatic authentication, you lose this ability. I have to go to a specific view after a successful login. I cannot find a way of redirecting the request back to the original resource. Let me know if you have a standard and portable way of doing this. The source code can be found here. It’s been an extremely long blog. Didn’t start off that way. Thanks for reading. It has been a while since my last blog. A combination of work and reimagining conversation support led to this hiatus. After the last blog, I wanted to do a series on the applicational aspect of Vorpal viz. how do you go about using the various features in Vorpal to implement a custom XMPP service. However I found IQ support wanting; in particular correlating IQ request/response to be really tedious. I’ve also felt, for quite sometime now, that my initial design for conversation support which I blog about here to be extremely simplistic. So I took the opportunity to redesign these. The good news is that if you are using previous version of Vorpal to develop your application, nothing apparent have change; everything should works as is. If you have any issues, please open an issue or post your problem in the forum. Bad news? Conversation support is quite tricky because it affects the framework greatly so if you find any NPE which wasn’t in earlier releases of Vorpal, please let me know. Rather than writing a long blog on conversation, I’m going to break this subject into 3 or 4 blogs convering concepts, implicit and explicit conversations and interactions between these. What is the purpose of conversation? Simply put conversation allows a Vorpal application to keep states about an interaction between 2 jabber entity. This is very similar to HTTP session support using HttpSession. In Vorpal states can be kept in ConversationContext, very similiar to HttpSession, and/or in stateful objects marked with @Conversation (think Stateful Session Bean). Every conversation is marked with a unique conversation id. when there is a <thread> element in <message>. This is part of the XMPP standard. See XEP-0201. or by using implied conversation id support between any 2 Jabber entities when <thread> element is missing. All packet falling under the same conversation (viz. having the same conversation id) will be able to access to the same state information stored in ConversationContext or @Conversation message handlers. The advantage of implied conversation id over those explicity marked with <thread> element is that implied conversation supports all 3 types of packets (message, iq and presence) whereas <thread> is only supported in message. The down side of it is that because its implied viz we compute the conversation id using information from the packet, you are really at the mercy of this algorithmn and have no control over the conversation states. Deploy ElizaService to Glassfish with Jabberocky. To verify that Eliza has been deployed successfully run a discovery service on it. The following screenshot from Gajim shows Eliza service. There are 2 ways of accessing Eliza. Eliza shows how to use the client and the server to create a virtual conversation; I’ll be talking about this in greater detail in my next few blogs. For those who want to check out these new features please download the latest from here. If you have downloaded the package prior to July 29 2012, please download it again. Note: I’m trying to get a hang Blogilo after I’ve decided to change from ScribeFire. So you’ll have to excuse me if there are any issues with formatting, etc. In this screencast we will show how to use @Presence to allow a XMPP external component to respond to subscription and probe messages. This is a continuation of our series of tutorial on developing CustomerQuery component with Vorpal framework. The source thaw was developed in the screencast is availble here. A screencast explaining how disco#info and disco#items works in XMPP. There is also a ‘live’ coding show how to use @IQ and @Query nnotation. Comments and feedback are welcomed. I’ve really caught the screencast bug; here is another screencast on conversation support in Vorpal. In the screencast I use Vorpal to develop an Eliza service. Here is how it works. IM users establish a chat session with eliza@arkham.batcomputer JID (or whatever subdomain you choose to deploy it in). If the in coming messages to Eliza has <thread> element, then Vorpal can use that to establish a conversation. To begin a ‘therapy session’ with Eliza, send to eliza@arkham.batcomputer a message with start as the message content. Vorpal will create an instance of Eliza and hold that for the duration of the conversation. When you decided to end the session, simply send it a message with quit. Vorpal will clear all the objects in the conversation’s context. I’ve blogged extensively about conversation support and the programming model in my previous posting call Conversations with Vorpal. You can get the source code of the demo here. Get the latest Jabberwocky bundle here. The Eliza source used in the screencast is available from http://chayden.net/eliza/Eliza.html.